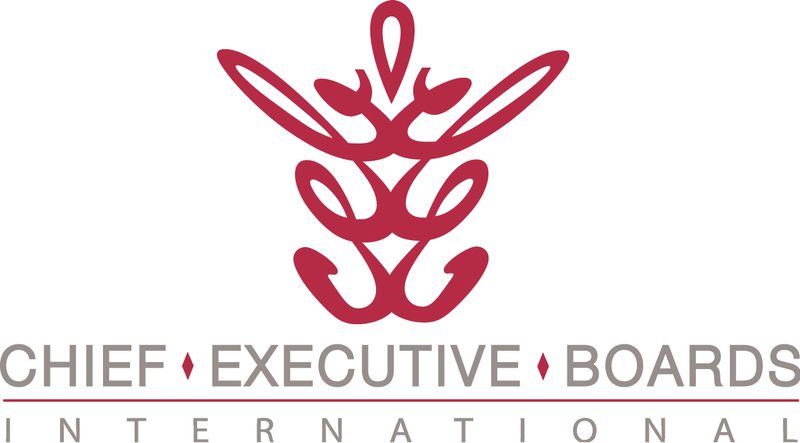 Twice a year, a small group of Chief Executive Boards International members and spouses participate in a Chief Executive Retreat. These two to three day events, including no more than 16 couples, take place at small, 4.5 to 5-star boutique resorts. 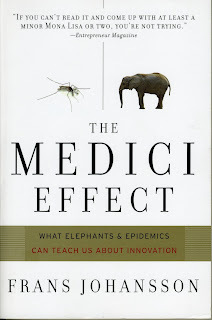 At a recent Retreat we used Frans Johansson's book, The Medici Effect (What Elephants and Epidemics Can Teach Us About Innovation) as a workbook for some innovation/creativity exercises during the member sessions, with some remarkable results. You'll want to get the book yourself -- this article includes only a few key ideas that Johansson fully develops, illustrates and supports with examples. Johansson cites the Medici family of ancient Florence, Italy, as an example of what can happen when people from all different backgrounds, experiences and talents come together to share ideas, experiences, and world views. The result was a new world, based on new ideas -- The Renaissance, spanning the late 14th century to the early 17th century. He divides ideas into two distinct groups -- directional ideas and intersectional ideas. Directional ideas are defined as those that originate and pursue essentially the same directional path as past ideas from the same body of knowledge. These include ideas for refinements, enhancements and improvements of existing products, services, practices and processes. There's nothing wrong with directional ideas. They are the most-practiced, and most-taught. They are the cornerstone of continuous improvement. They are taught in Engineering, Medicine, Law, and MBA schools. Directional ideas, however, rarely result in a breakthrough innovation. They are, rather, the things that drive quality, time and cost reduction -- Better, Faster and Cheaper. They are the tools of managers, rather than innovators. Intersectional ideas, on the other hand, produce leaps of progress in new directions. They become the roots of years of directional improvement, and can affect the world in unprecedented ways. Thus, intersectional ideas lead to innovative, rather than simply improved results. What gets in the way of intersectional ideas? Johansson coins the term "Associative Barriers" -- the natural, cognitive barriers, developed in the human brain over millennia, that search for order in things, group concepts together and provide the structure of our thinking. They are prized by many as problem-solving skills, including intuition and logic, allowing a talented problem-solver to quickly arrive at a solution that will work. They are the result of our experience, education and mentorship. One could draw the conclusion that education itself, particularly in technical fields, is the enemy of innovation. Put ourselves in situations outside our natural networks. That's the mission of Chief Executive Boards International -- "We Share Ideas." Perhaps better stated as "We Share Ideas, through interactions of members with different experiences, backgrounds and talents." And, finally, Johannsen offers some exercises that can be used to reduce associative barriers. We tried a few of those exercises at the Retreat, and the results were surprising. One of the most interesting was the "thought walk" -- a stroll around the resort, each member individually noting things he or she saw that might have some intersectional relevance to an innovation challenge posed by one of the members. A means of randomly combining concepts, which breaks down associative barriers. The member who posed the business challenge that was the topic of the "thought walk" was amazed at the imaginative ideas generated by other members' random combination of concepts. He left the session with several ways to pursue his problem that had never before occurred to him. If you've read a book lately that you think might be of interest to CEOs and business owners, please click "Comments" below and share it with us.